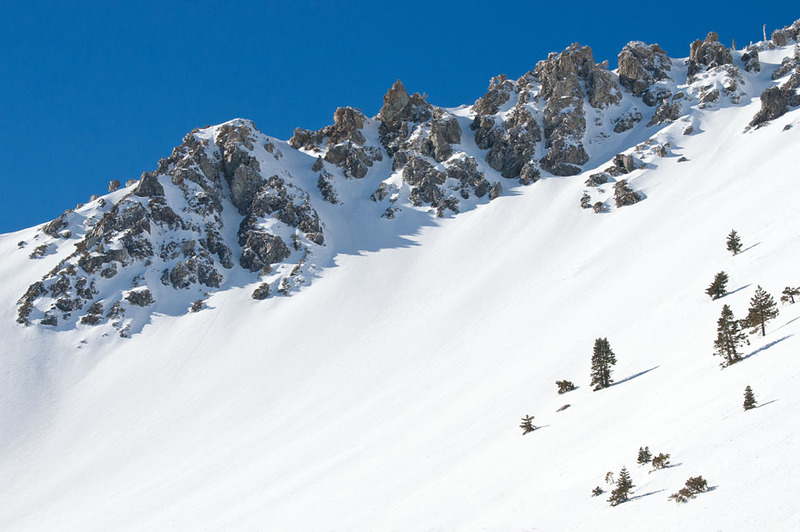 The short but spirited lines of Baldy Bowl and Mount Baldy's Southeast ridge. From left, the chutes are Dostie's Dare, Once is Enough, Hourglass (center), The Girly Man Chute, Figure Eleven, and the Zen Chute. Southern California's Baldy Bowl, Mount San Antonio.